Air Jordan 1 Retro High OG "Sports Illustrated"
Jordan Brand is set to release an Air Jordan 1 High colorway inspired by the Sports Illustrated covers featuring Michael Jordan. Seen here is the first colorway of the collection, featuring a black, red and white colorway alongside a green stitched swoosh in two tones. Tumbled leather graces the side panels of this AJ 1 High, alongside smooth leathers that hit the toe and heel. 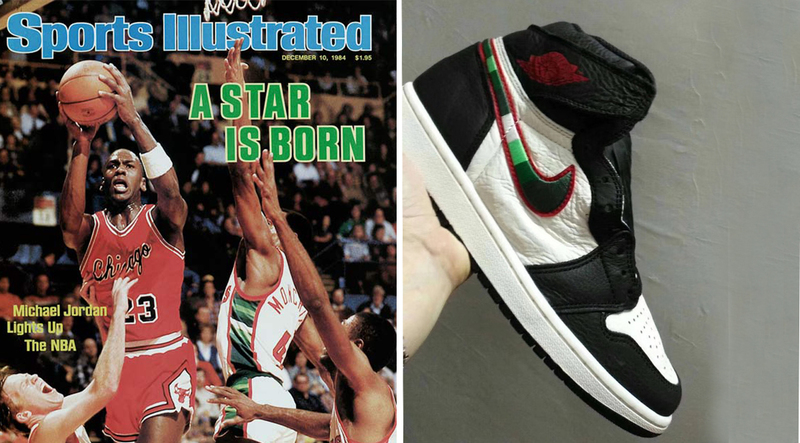 The Air Jordan 1 Retro High OG “Sports Illustrated” is set to release this Holiday for $160 USD.